Tamil film celebrities gathered under one roof for the annual Edison Film Awards distribution held at Lady Andal School in Chennai recently. 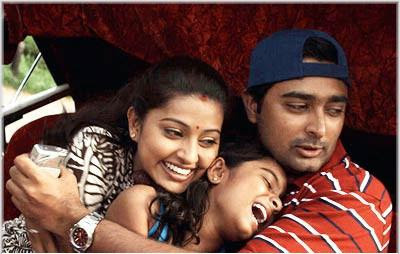 Jayam Ravi received the award for Peranmai while Prasanna and Sneha received the awards for Achamundu Achamundu. The other awardees include cinematographer - director K V Anand, script writer and actor Ramesh Kanna, actress Aarthi, film personalities including Kishore, Ambika, Dhanshika, Shammu, Manoj Paramahamsa, Krish among others. A variety of cultural programmes was also organised as part of the celebrations.